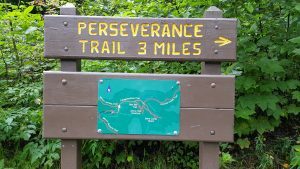 Perseverance Trail is a beautiful 3.2 mile long, fairly easy trail. 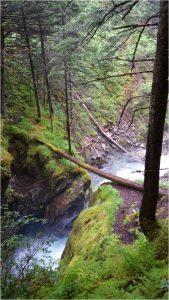 It begins at the end of Basin Road and leads out to a beautiful water fall. There are two ways to start. One way is up the slow incline trail. 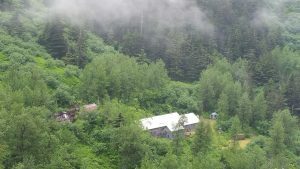 Or one can continue at the end of Basin Road next to the mine. 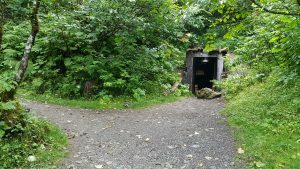 If you were to continue flat at the end of Basin Road you will encounter one of the old mines before you begin your incline. If you were to hike up the high road at the end of Basin, then you will be treated to the beautiful valley vista. Both starting points connect up and continue on 3 miles back. 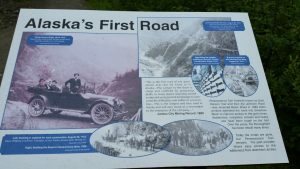 The trail was actually Alaska’s first road, built to move supplies from town through the Gold Creek Canyon to the Perseverance Mine. 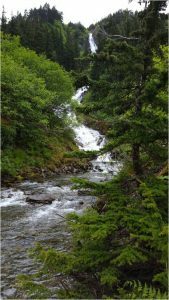 Although Perseverance Trail in itself is a wonderfully beautiful trail, hikers have the choice to veer off to explore additional trails. 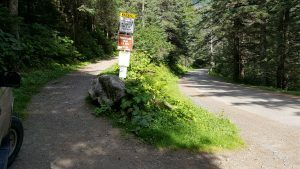 The first trail head to encounter is for the Mt Juneau Trail. We took our first break in a lovely space, sitting on large rocks with a majestic view of one the canyon falls, the Ebner Falls. 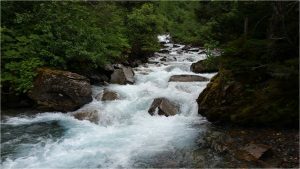 The stream then ran through a charming crevice crossed by a log bridge, a scene that could jump right out of the storybooks. 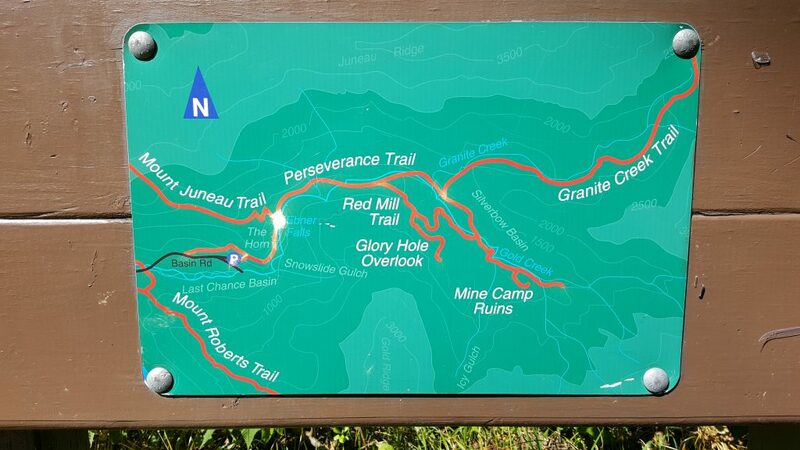 From the Perseverance Trail, we were able to divert to Red Mill Trail and the trail to Glory Hole as well as the trail up to the old Mine Camp Ruins. 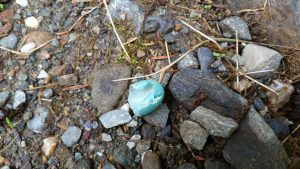 While each vista and wildlife sighting is a treasure, I feel like a child at an Easter Egg hunt when I encounter evidence of new life hatching. 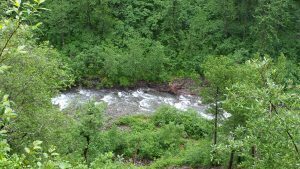 Followed by Granite Creek Trail. 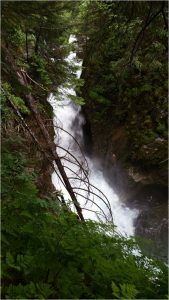 We then continued on to Perseverance Trail toward the majestic falls at the end of the trail. 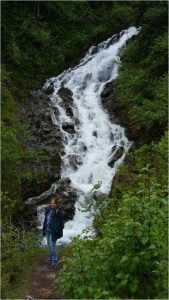 I am a diehard fan of waterfalls! 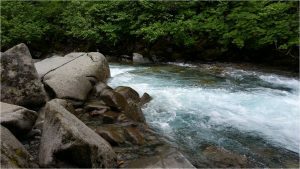 We returned by walking along the rushing and roaring creek meandering through the rocks and the trees. 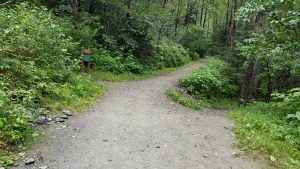 This trail as well as the trails splitting off make for the perfect daytrip and is easy to access from downtown Juneau. 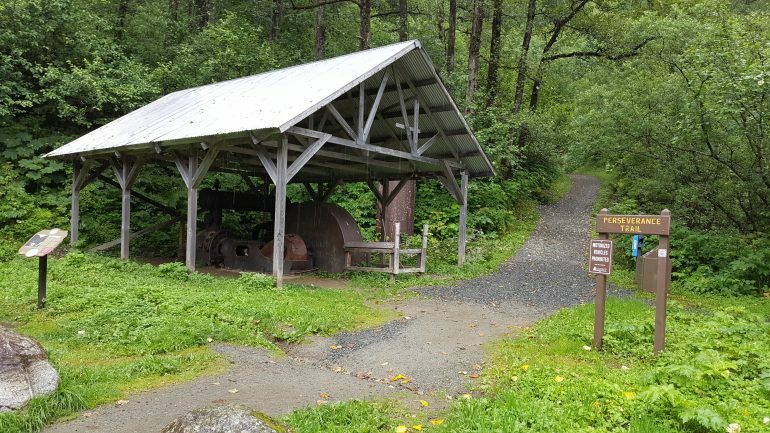 Bring a friend and a picnic and experience the best of Juneau.